Year after year I see many people who were old-fashioned mouse clickers adopting PowerShell and thus the average skill level is rising. 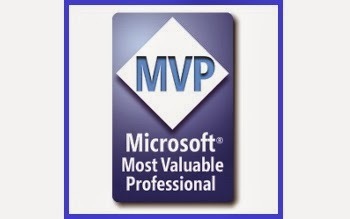 At the same time, pushed by the arrival of DevOps, a lot of people who are already pretty confident with code are coming to join the ever-growing community of IT professionals that use PowerShell. So what is the best way of testing your progress than a tricky PowerShell contest and possibly winning a prize? Windows Management Instrumentation is an incredibly useful technology for exposing system information. Being able to interact with it from PowerShell is one the first things we all learn. Your first task is to write the shortest possible oneliner that extracts the UNC path of all the local shares from the Win32_Share class. The use of Win32_Share class is mandatory. I still remember the first time I saw a computer-generated fractal (it was a Barnsley fern), and have always been impressed by those patterns that repeat and repeat again. What I did learn recently is that the 'fractal' term was invented by a legendary Polish mathematician, Benoit Mandelbrot, who added a B. in the middle of his name: supposedly he intended his middle B. to recursively mean Benoit B. Mandelbrot, thereby including a fractal (his mathematical discovery) in his own name. Reuse of $question variable is mandatory. $t1 = "I really like scripting with PowerShell"
$t2 = "PowerShell is a really really nice scripting language"
The returned value must be 1 if $t1 and $t2 are identical vectors (same words) and 0 if $t1 and $t2 have no words in common. 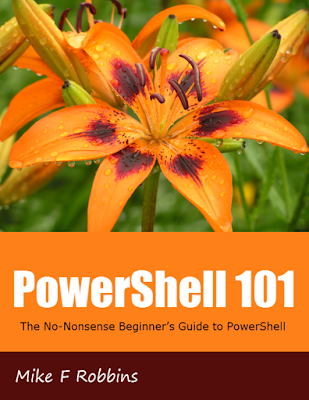 The comparison must be case insensitive, meaning that PowerShell and powershell are the same word. The string must be split at any non-word character and only unique elements of the resulting collection are compared. $t1 = "Unless you work hard, you won’t win." $t2 = "You must work hard. Otherwise, you won’t win." Use the three provided test files (one per task) as stated in the Readme.md instruction file. A word of notice: using those tests is not mandatory, but my opinion is that we should all be continuously learning, so if you are new to GitHub and to Pester, I suggest you seize the occasion to learn something useful. You'll just be doing yourself a favor if you use Pester to unit test your oneliners, because human error can always happen and it's a pity if you spend a lot of time providing an answer that does not actually work. Yes, there's a prize! Fellow MVP Mike F Robbins will donate one copy of The No-Nonsense Beginner’s Guide to PowerShell ebook for the winner of the contest. Thanks in advance to Mike for being always so keen to give his contribution to this kind of initiative. His book is one of the best around, as I explained in a previous post. As a bonus, and if the winner agrees, he/she will intervene as a guest blogger on this blog and will explain how to solve this kind of PowerShell riddle. 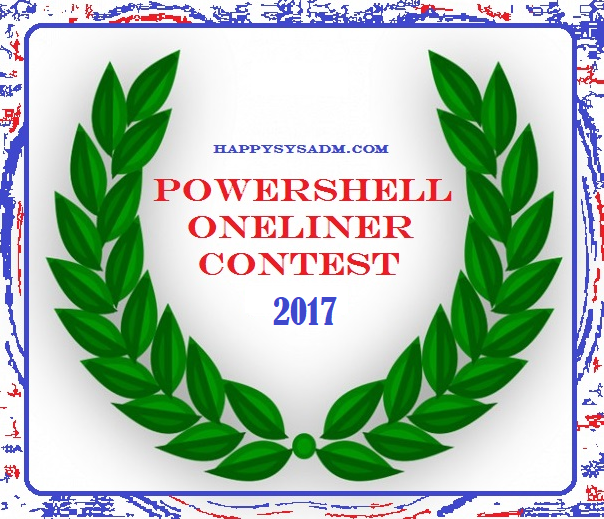 If you want to spread the word about this PowerShell contest, feel free to twit about it. You can use the hashtags #poshcontest2017 and #powershell so that other competitors can share their thoughts (not the solutions of course!). UPDATE 24th Nov: We have a winner! Check it out here. 1st task was easy enough to do on a short break. I'll have to do some research for 2 & 3. Task 3 - Still working on this one. Reduced #3 by an additional number of characters. Provided two examples - one requires that the $x,y,z variables be cleaned between runs of the command which I think doesn't meet the criteria of the contest.